“Don’t worry, I’m pretty sure this is the way,” my kayaking guide Jon Black of Crazy Lure Bait & Tackle Shop called back to me. 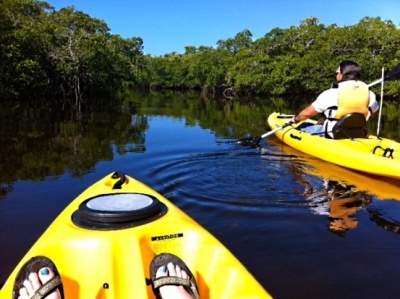 I sluiced through Southwest Florida’s cobalt-blue waters with my paddle and glanced around at the thick mangroves, their limbs gnarled and wild like the arms of a monster in a nightmare. The forest was strangely silent. The previous day’s downpour had sent the birds into retreat mode and we felt alone. I wasn’t worried; being lost is nothing new in my world. However, having a capable guide to help me find my way out was. We were winding through Cape Coral, Florida’s 400-mile network of canals (more than even Venice) and I was in my element as bottleneck dolphins and manatees skirted around us. Prior to my trip, I wasn’t a fan of Florida. I had only visited its busiest cities and had equated the state with heat, humidity, retirees, overcrowded beaches and partying, never dreaming of the natural grandeur of Southwest Florida. The rain put a literal damper on my plans to grab one of the hotel’s complimentary bikes and tour the Tom Allen Memorial Butterfly House at nearby Rotary Park. Plan B was to take the free 45-minute water taxi to Fort Myers Beach—an unspoiled sugar-hued beach oozing with tourist shops, tiki bars and fun—but that was canceled. A hotel worker suggested we check-out the Miromar or Tanger Outlets (a good rainy-day activity) but I had a better one: “Let’s go to Sanibel and Captiva Islands.” The day prior, a friend had posted some pictures on Facebook and I was captiva-ted. An hour later, I met my guide Jon Black and we drove through the deluge, over the three-mile Sanibel Causeway and landed smack dab in the middle of paradise (or as Frommer’s travel guide quantified it: The No. 1 travel destination in the world). During the height of tourist season (winter and summer), traffic on these small islands can be beastly but early-May’s shoulder season plus a rainy day equaled My Own Private Florida. Jon started our tour at Lighthouse Park on the eastern tip of Sanibel where a functioning 1884 light tower stands sentry over Bahamas-blue waters and a fishing pier. 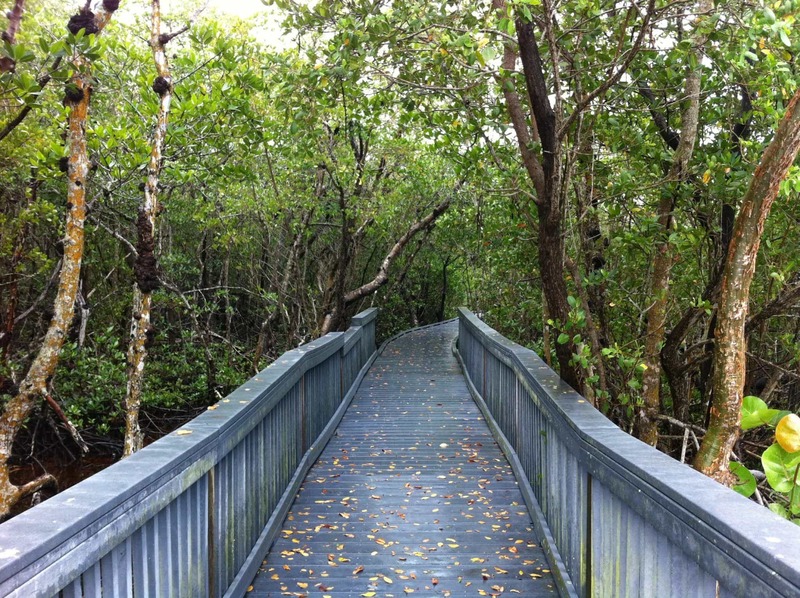 A boardwalk nature trail winds through native wetlands and past mounds of shells from the Calusa Indians’ discarded fish bones, pieces of domestic tools and pottery, weapons and jewelry. Just as we pulled up to our destination–a short bridge that links Sanibel Island to Captiva Island over Blind Pass—the rain ceased. I suspected Jon was really Zeus, the Greek God who ruled over the sky, weather, thunder and law or maybe Moses because those clouds parted like the Red Sea. 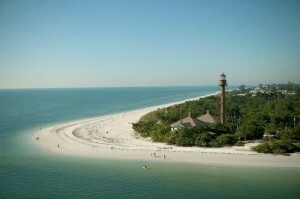 Sanibel and Captiva Islands are consistently ranked the top shelling beaches in the nation due in part to the large plateau that extends out into the Gulf of Mexico for miles and acts like a shelf for seas shells to gather. The moment my feet hit the sand I was a kid in a candy store, gathering up large piles of shells that formed a thick ribbon along the shore. 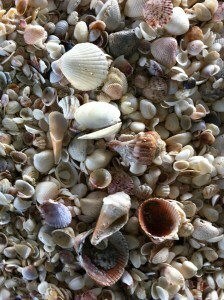 I collected shell after shell, puzzled over the vast variety and vowed to visit the nearby Bailey-Matthews Shell Museum. This large natural history museum features exhibits of shells from around the world (one-third native to the area) and has a hands-on learning lab for kids. I waded knee-deep into the water, launching myself in the air whenever a wave rolled in. I hesitantly bent down (locals even have a name for this shelling stance: the “Sanibel Stoop”), and as I saw a white cap barreling toward me, I blindly reached out. 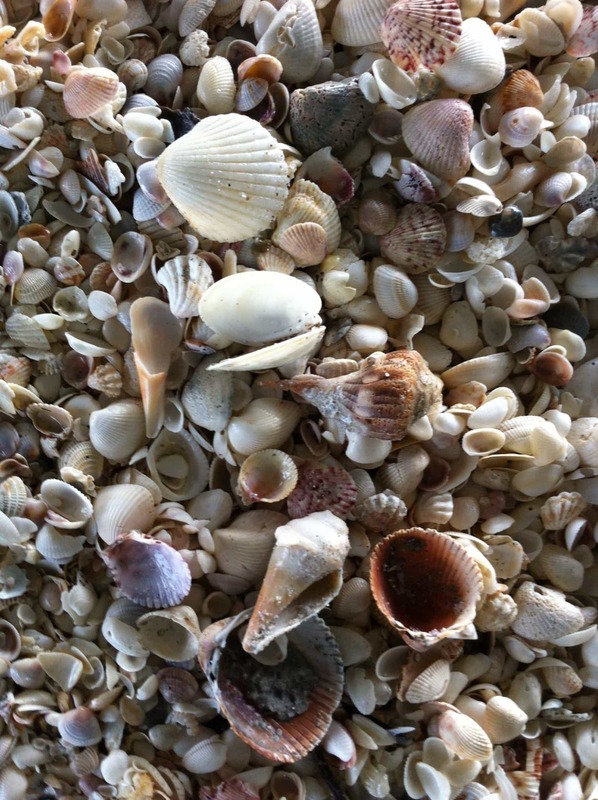 I squealed with disbelief and glee—I had hit the shell jackpot and uncovered hundreds of them in a dizzying array of diversity. I could have stayed on that beach forever. The breeze from the Gulf was sultry and heavy-laden with salt. A great blue heron stalked me, no doubt unimpressed by my haul that was lacking in fish. Nature’s miracles were on display and it was one of the most surreal moments of my life. J.N. “Ding” Darling National Wildlife Refuge is a 7,608-acre primordial wetland on Sanibel Island that is brimming with 35 species of mammals, 102 species of fish, exotic birds and alligators. A network of trails ranging from ¼- to 4 miles-long are ideal for trekking or biking. Wildlife Drive provides a drivable safari through one of the largest mangrove wildernesses in the country. Kids will love the education center and scanning the interpretive signs’ QR codes to learn more. The driving trail is closed on Fridays but will be undergoing some construction projects Summer 2013 so check the website for updates. 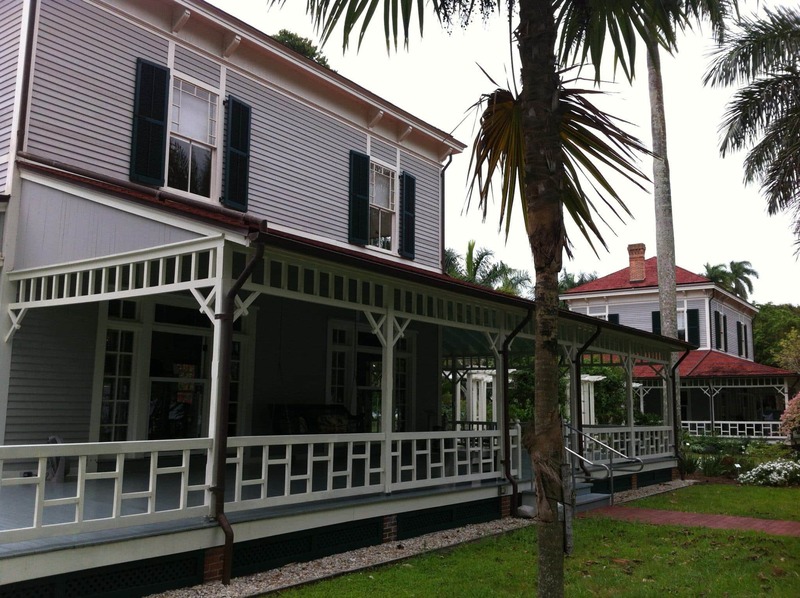 Edison and Ford Winter Estates—Thomas Edison and Henry Ford, two of the most prolific geniuses of their time, both spent their winters in Fort Meyers on a 13-acre estate bordering the river. This historic site offers more than just a look at their winter homes, museum, lush grounds and laboratory but an appreciation for how they forever changed the landscape of the automobile industry, movies and film, lighting and electricity and sound and communications. Kids will enjoy the Young Inventors educational programs, where many a burgeoning scientific genius is borne. 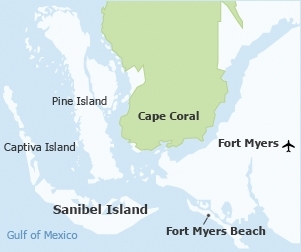 Matlacha and Pine Island— Pine Island is the largest island (18 miles long, two miles wide) off Florida’s Southwestern Gulf Coast. 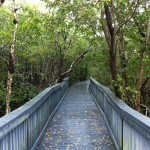 It is ensconced by mangroves and aquatic preserves. Not-to-be missed are Matlacha’s funky fishing and artist colonies that prove colored paint goes a long way. 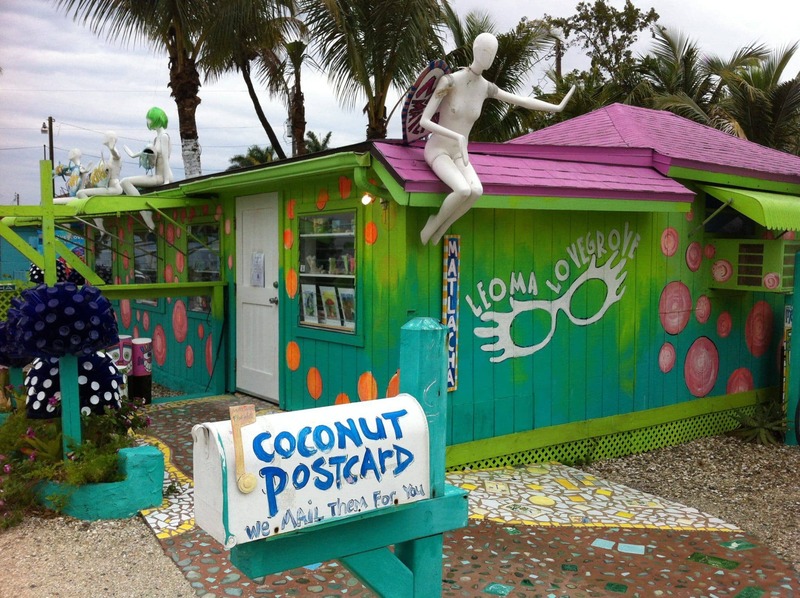 Stop by eccentric Southwest Florida icon Leoma Lovegrove’s gallery, which will make you swear you’ve been dropped into a Dr. Seuss book of unbridled color and imagination. Tour the botanical gardens. Then cool down on ice cream served in a coconut. 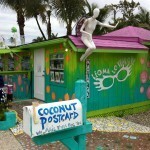 Paint your very own coconut postcard while overlooking the canal that leads to Matlacha Pass (some people even visit the gallery by boat). Keep on living your vacation when your coconut arrives in your mailbox a week later. 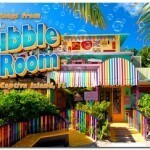 Bubble Room–When I asked the staff at the Westin Cape Coral where to eat on Captiva Island, the enthusiastic response was “The Bubble Room!” This happiness-inducing eatery is whimsical, quirky fun and a beloved local tradition. 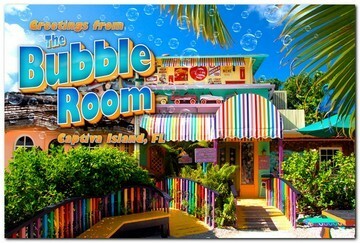 With a creed, “It’s always Christmas at the Bubble Room” the hodgepodge of décor includes Santas, old-style Hollywood glamour, trains, and toys. Wacky “Bubble Scout” wait staff are dressed in girl and boy scout uniforms. The food is great, too. Portions sizes are large. Order their infamous red velvet cake and try not to be bitter when you learn about it later. 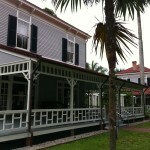 A Note from The Outdoorsy Travel Mama: Thanks for the Westin Cape Coral at Marina Village for hosting me! Be sure to check-out my hotel review about the view that blew my mind. Sanibel has been on my list for quite sometime but I am planning to go in September. My daughter will love those sea shells! Monique–September would be a great time to go to beat the crowds (barring any weather disturbances). It truly is a magical place. Looks beautiful! I feel like there are so many beaches and areas in the US and in Florida like this that are untouched by many tourists – those are the ones I want to see too! We hit two of the Sanibel Island beaches. All I can say is wow. The shells, waves and weather did not disappoint. We are Kayaking this afternoon and hope for another amazing adventure as we will be going out with a marine biologist guide. Yay!!! Ooh wow! 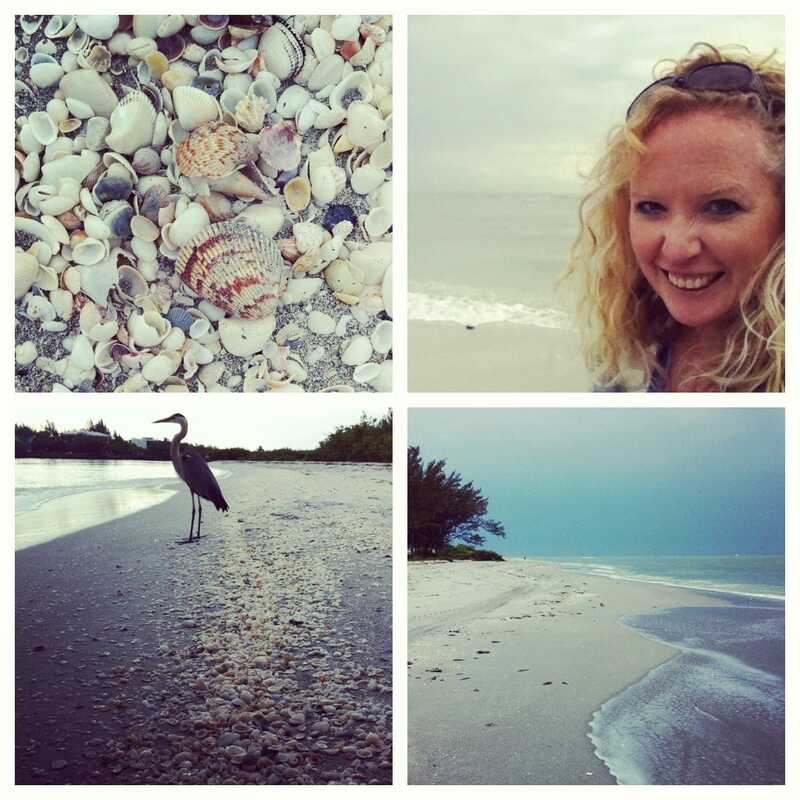 How fun to visit Sanibel with a marine biologist guide! Enjoy!